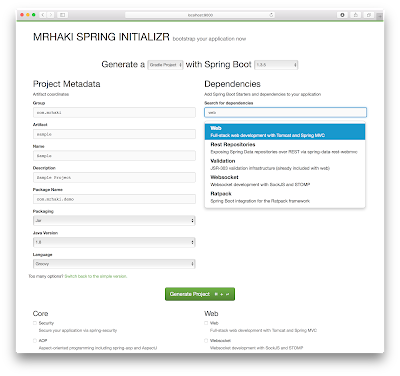 To start a new project based on Spring or Spring Boot we can use the website start.spring.io. 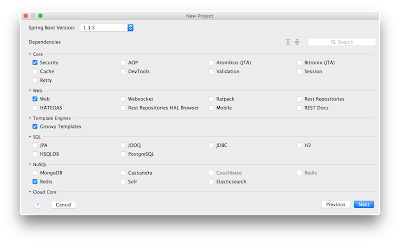 We can easily create a project templates based on Maven or Gradle and define all needed dependencies by clicking on checkboxes in the UI. 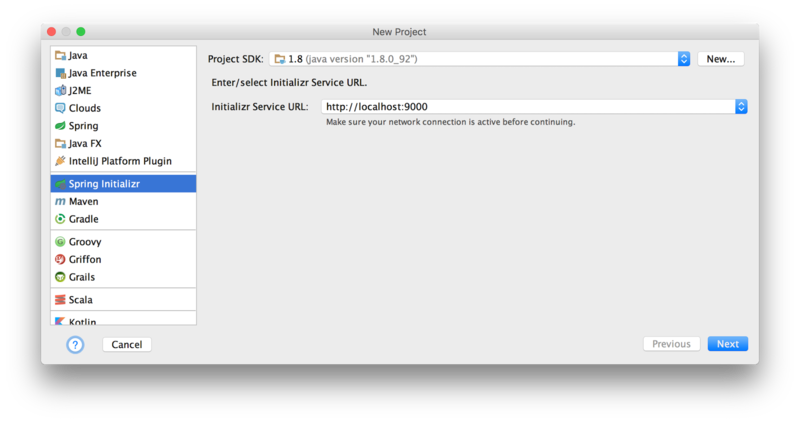 In a previous post we also learned how to create a project using a URL using the same start.spring.io website. The start.spring.io website is actually a Spring Boot application and we can easily host our own server. With our own server we can for example limit the number of dependencies, force Gradle as the only build tool and set default values for project name, packages and much more. To get started we must first clone the GitHub project. We need to build the project with Maven to install the libraries in our local Maven repository. After that is done we are reading to use it in our own Spring Boot application that is our customised Spring Initializr server. The easiest way to run the server is to have the Spring CLI tool installed. The easiest way to install it is using SDKMAN!. We type on the command line $ sdk install springboot. Next we need a configuration file which all the options for the Spring Initializr server. We can start by copying the file application.yml from the initializr-service project on GitHub to our directory with the file initializr.groovy. This file contains a lot of information. The configuration format is explained on the GitHub wiki, but it is really straight forward. 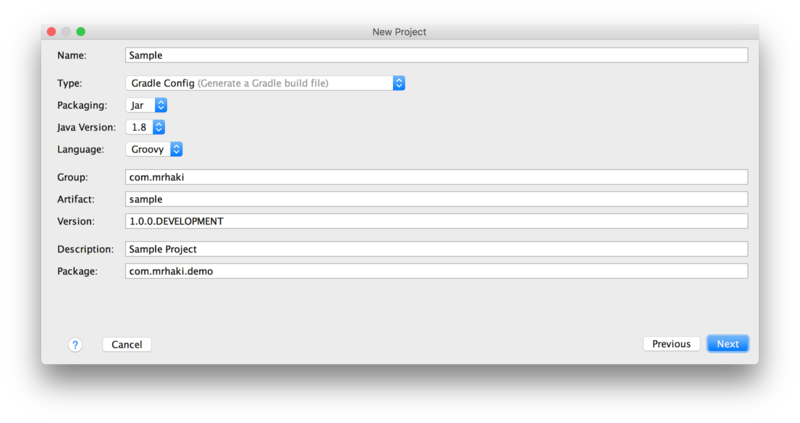 If we open the file we can for example remove dependencies from the dependencies or set default values for the groupId. If we only want to support Gradle we can remove the Maven references from the types section. And of course to have Groovy as the default language we can in the languages section set the default to true for Groovy. For a finishing touch we can also override the static resources and templates of the server application. For example we can add a new spring.css file in the directory static/css. And place a file home.html in the directory templates. We can take the existing files as sample and change what we want.